Housewives, homemakers, stay-at-home moms (SAHMs), etc., rejoice! 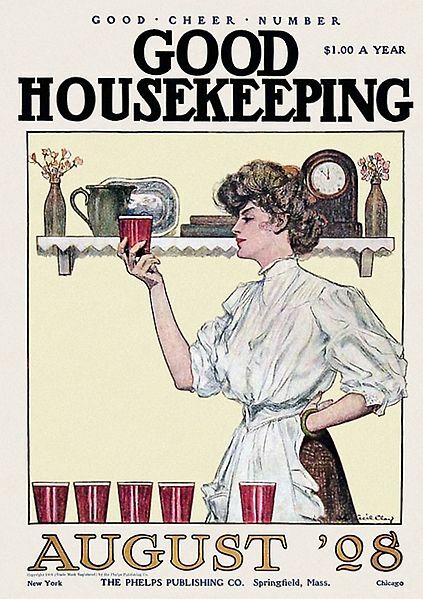 November 3 is Housewife Day. Many people are a bit put off by this day, complaining that women are so much more than cook and bottle washer. Perhaps this is just my strange background, but almost everyone I’ve ever met knows that women are completely capable. (If someone doesn’t think women are worthwhile, they’re just missing out and I feel sorry for them.) Therefore, I’m not in the least bit offended by this term and I’m all for celebrating the women who work tirelessly day in and day out to make a house a home. November 3 is also Sandwich Day, so I propose that all housewives go ahead and make dinner for their family, PB&Js all ’round. This entry was posted in Uncategorized and tagged housewife day, november 2012, sandwich day. Bookmark the permalink. Very interesting. I had no idea and didn’t read this until 9 pm, but I think I can still celebrate it tomorrow, but I propose that housewives celebrate Sandwich Day & Housewife Day by having the family make MOM a sandwich!